I was a 19-year-old Army private when I learned that, per Army regulations, I could get a day off for donating blood. I told my entire platoon, and my platoon sergeant wanted to wring my neck! That day, we all donated blood and got the day off. Although I am embarrassed to say that laziness was my original motivation for becoming a blood donor, today I donate blood because it can help save lives. For the past 30 years, I’ve donated whole blood to help patients in need. That is until the wonderful and dedicated professionals at the Huntersville, N.C. blood donor center spotted my AB blood type. Almost immediately after that they sold me on the idea of donating AB Elite plasma to get even more out of my donation. For an extra 20 minutes or so, I could make an even greater impact. According to the Red Cross’s website, “There are eight common blood types (A+, A-, B+, B-, O+, O-, AB+, AB-) and many rare ones. Blood types are determined by the presence or absence of certain antigens (such as A and B) on the surface of red blood cells. These substances can trigger an immune system to attack transfused blood, so safe blood transfusions depend on careful blood typing and cross-matching. Learn more about your blood type. This means in times of emergency, when there is no time to type and cross-match blood to determine an emergency patient’s blood type, “universal” AB positive and negative plasma can be used to help save that person’s life. 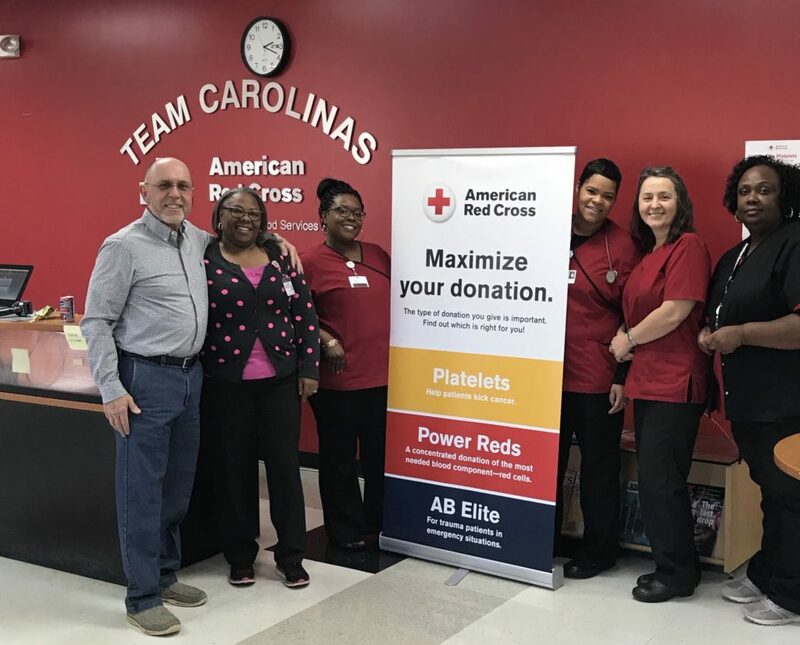 Right now, the American Red Cross needs all types of blood donations to help end their emergency blood shortage—including AB plasma. Today you can make a decision that could change someone’s life forever. Please schedule an appointment to save lives today by calling 1-800-RED CROSS (1-800-733-2767), visiting www.redcrossblood.org, or by downloading the Red Cross Blood Donor App.